1 3/8" (35 mm) wide Ratchet Belt. 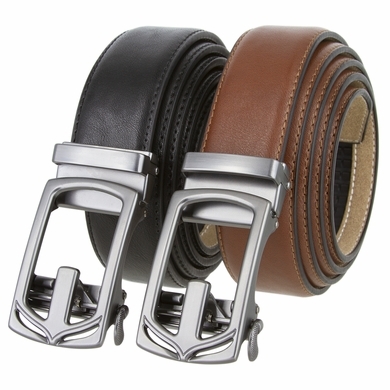 A decent casual high grade easy to use and durable ratchet belt that can be use for all occasions. Synthetic or vegan leather belt strap. In order to get the correct size, measure a belt that is currently working for you from the fold where the buckle is to the hole where you wear the belt.